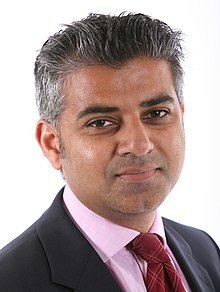 British Pakistanis (also Pakistani Britons) are people in the United Kingdom of Pakistani ancestry. The UK has the second largest overseas Pakistani population after Saudi Arabia. Pakistan came into existence in 1947, so documentation of the life of Pakistani Britons technically can only start from that year. However, Muslim immigrants from the part of British India now known as Pakistan, entered the British Isles as early as the mid-seventeenth century. Following the Second World War and the break-up of the British Empire, Pakistani migration to the United Kingdom increased, specifically during the 1950s and 1960s, as Pakistan was a part of the Commonwealth. The majority of the immigration began in the mid-1950s when manual workers were recruited to fulfil the labour shortage which resulted from World War II. Many people began immigrating from Pakistan-administered Kashmir after the completion of Mangla Dam in Mirpur in the late 1950s as well, that destroyed hundreds of villages and stimulated a large wave of migration. Up to 5,000 people from Mirpur (10% of the displaced) left for Britain. In the years to come, many from Punjab began immigrating in the 1960s; they worked in the foundries of the English Midlands and a large number worked at Heathrow Airport as well. During the same time, medical staff from Pakistan were recruited for the newly formed National Health Service. Over 7,000 Pakistani doctors currently work for the NHS. During the 1970s, a large number of East African Asians, who already held British passports, entered the UK after they were expelled from Kenya, Uganda and Zanzibar. The Commonwealth Immigrants Act 1962 and Immigration Act 1971 largely restricted any further primary immigration, although family members of already-settled migrants were still allowed. ↑ "Pakistan rejoins Commonwealth". The Independent. 13 May 2008. ↑ Shaw, Alison (2000). Kinship and Continuity: Pakistani Families in Britain. Psychology Press. p. 30. ISBN 978-90-5823-076-8. ↑ "Museum of London - Free museum in London". www.museumoflondon.org.uk.